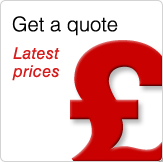 Keeping your boiler running can be an expensive business. The longer you've had it, the more expensive it's likely to be to run. Wear and tear can mean your boiler is running as much as 25% less efficiently than it should be. In turn, this increases the chance of boiler failure which can lead to large repair costs. That's why it makes sense to have your boiler serviced every year to keep it safe and ensure it operates in peak condition. We are committed to providing the best products and services to help keep your home warm and comfortable. That's why we offer a complete home heating service you can rely on to keep your heating system running safely and efficiently all year round. Your boiler is as sophisticated a piece of equipment as the engine of your car. To keep a car in good running order it requires regular servicing. And so does your boiler. Having your boiler serviced is by far more convenient. You do not need to travel as an engineer comes to your home, causing you minimum disruption. To remain efficient your boiler needs to be inspected, cleaned and adjusted regularly - in most cases only once a year. And this service will usually pay for itself in the economies that result from making sure your boiler continues to work efficiently. Why have your boiler serviced regularly ? To safeguard your system against expensive and inconvenient breakdowns. To maximise efficiency - well maintained boilers use less fuel and save you money. To extend the useful life of your boiler. To reduce fumes and emissions, helping you and the environment. Keeping your heating system running smoothly with T R Jones - What's involved ? 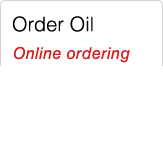 Routine service of your oil-fired boiler (and some cookers). This will include a thorough cleaning, combustion efficiency check and any essential replacement parts will be fitted. Emergency callout service to attend breakdowns wherever possible in 12-24 hours. Detailed record keeping, and a reminder when your annual service becomes due. Warranty work can usually be carried out, but we need to know your boiler is still under warranty if you are using us for the first time. 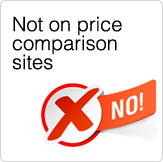 A separate program for boiler insurance, which offers standard and optional cover. 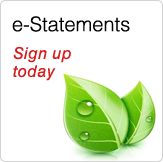 Contract Maintenance offers comprehensive annual maintenance for your home's heating system. Plus you can benefit from the added convenience of paying small monthly amounts for your maintenance plan and fuel instead of large, unexpected bills. 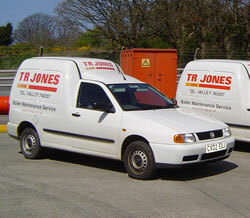 T R Jones & Sons has a background of more than 50 years of experience in home heating. We have a team of fully trained professionals who specialise in oil-fired heating systems, and are experienced and dedicated to offering you personal local service. Appointments are arranged to suit you. We make your life easier, by keeping a record of your details and sending you reminder letters for your annual service. In addition to its competitive cost, the Contract plan can be paid for as part of your Budget Account for fuel, which makes it even more affordable. You can thus spread the cost over 12 months without interest charge. Maintaining a safe, well-tuned heating system has never been easier. 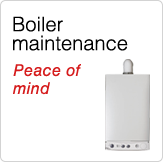 So enjoy peace of mind and trouble-free heating by choosing the solution that's right for you.